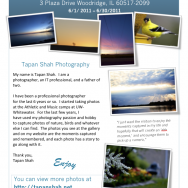 I wanted to invite you all to another photo exhibition I have. 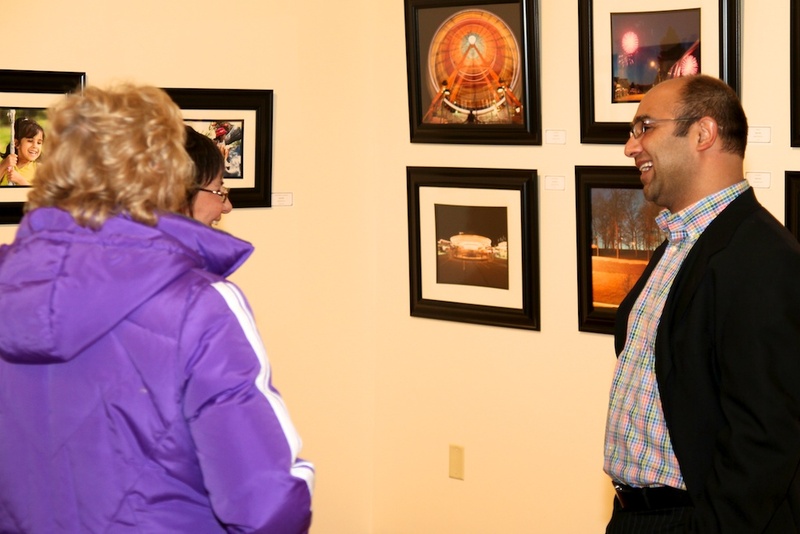 This time it is located at the Woodridge Public Library in Woodridge, Illinois. 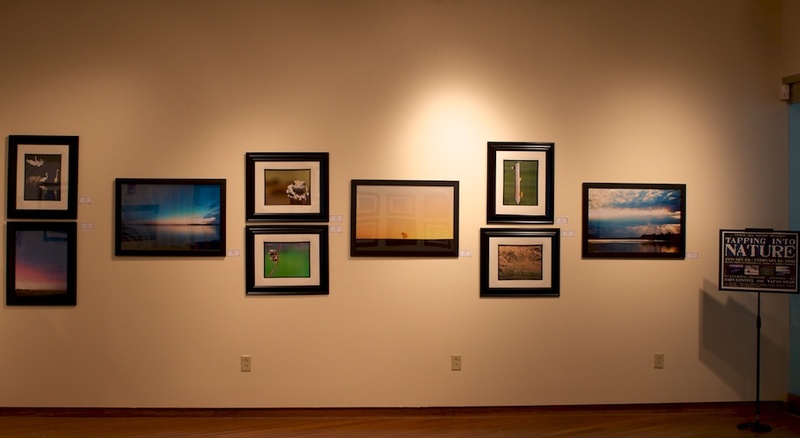 The gallery will be up for the month of June 2011. 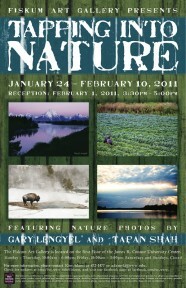 If you live around Chicago or close by, I hope you can make it to the gallery. 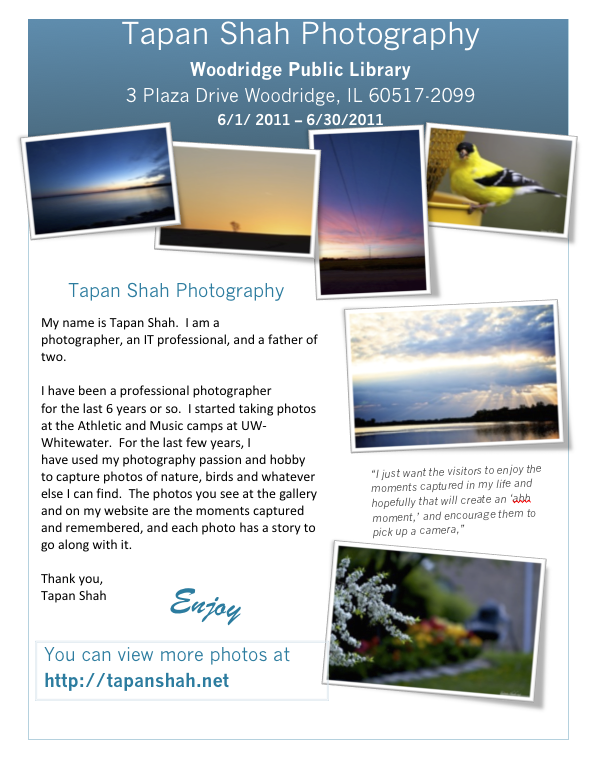 My very first photo exhibit will be at the Fiskum Art Gallery in UC on the UW-Whitewater campus. 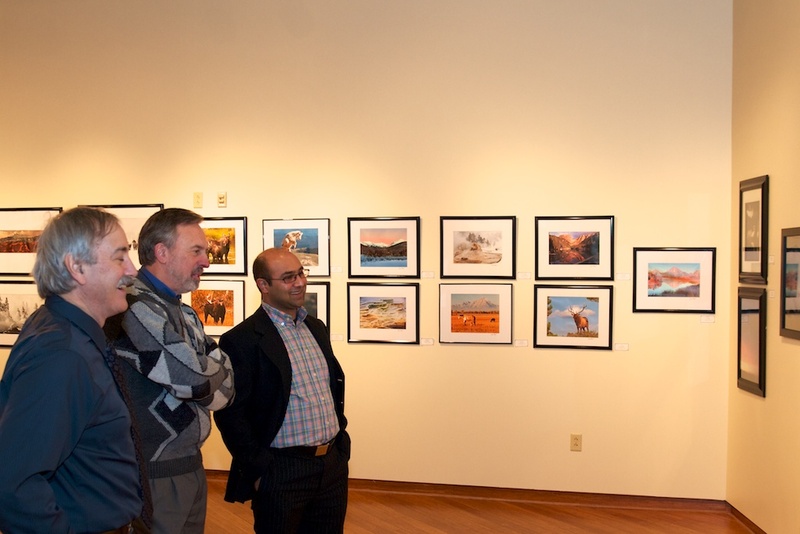 Here are more detail about the exhibit. 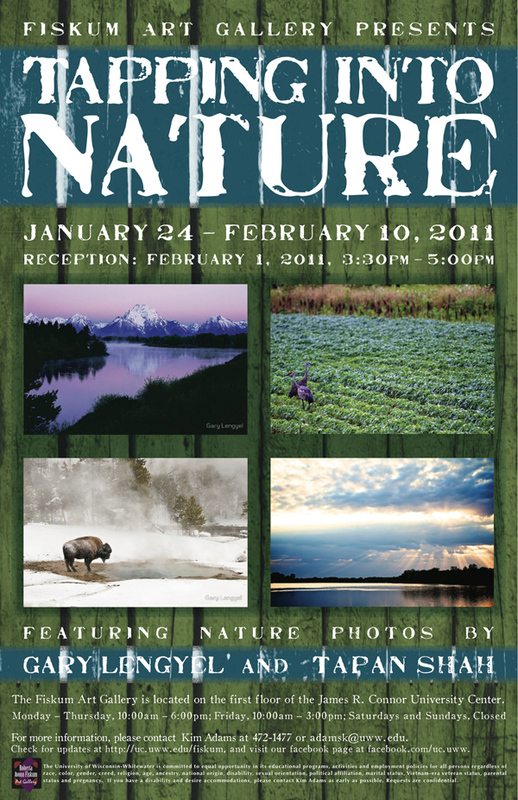 Featuring nature and animal digital prints by Gary Lengyel and Tapan Shah. 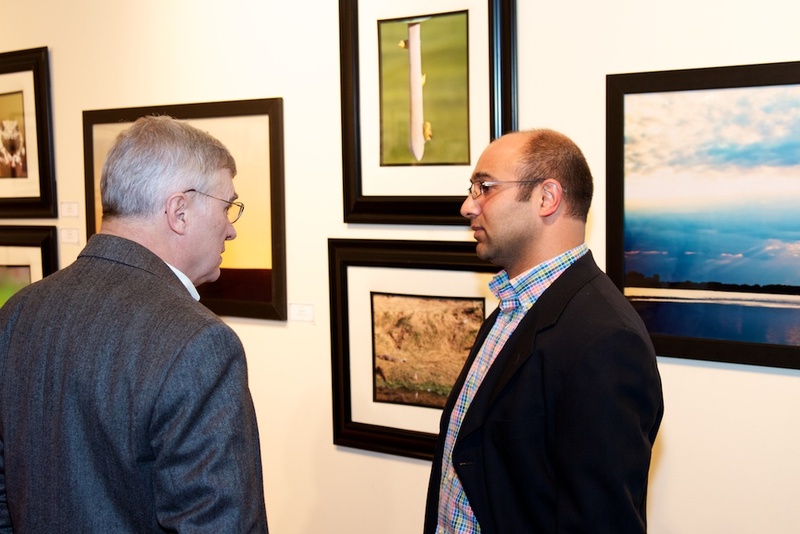 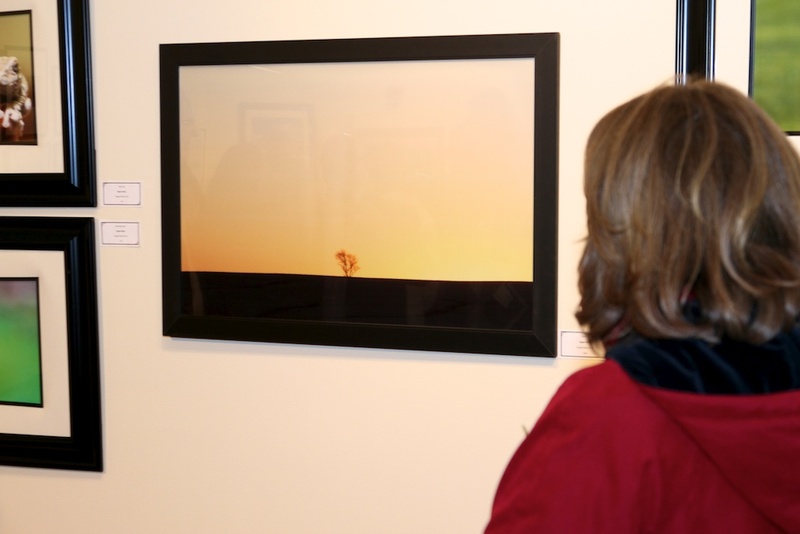 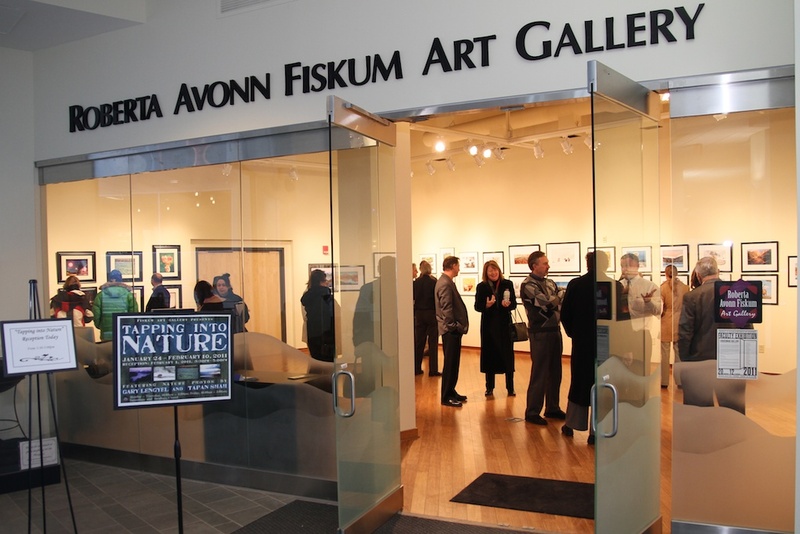 Reception: Tuesday, Feb. 8, Time: 3:30 P.M – 5:00 P.M. 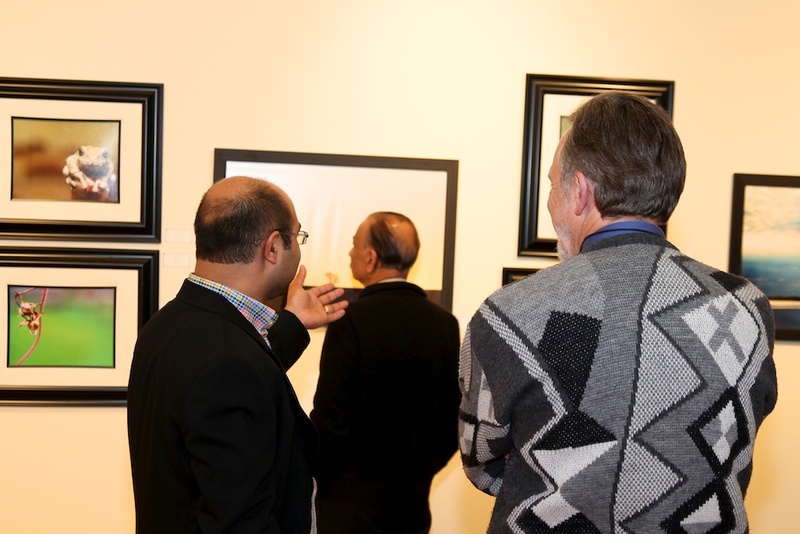 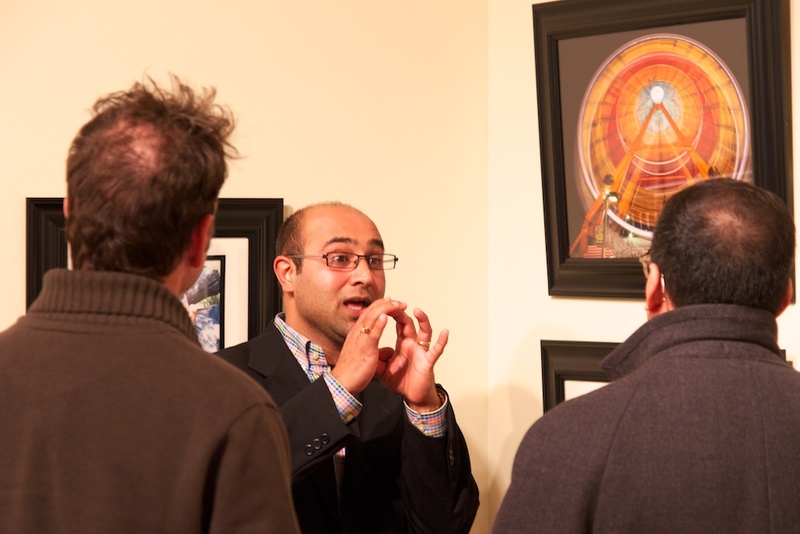 Here are few photos from the exhibit.